Backed by 5 years of personal experience and proven success within the influencer industry, this E-Course will be the #1 step-by-step guide for both aspiring and current influencers to create & grow their own blog easily, efficiently, and correctly. NO CONFUSION, NO NONSENSE, AND NO TIME WASTED! Unlike many blogging e-courses out there, this course will be teaching you how to create and grow your blog step-by-step. I will be with you every step of the way, assisting you when help is needed, showing how to set up & strategize your blog rather than offering vague written explanations. I had to teach myself how to do everything on my own, so I have an understanding of how frustrating it is to start & grow a blog not knowing where to begin. That's why I want this e-course to be that golden ticket opportunity to get your foot in the door, to be that guiding resource I wish I had available for myself when I started blogging. 5 years of figuring this all out on my own has allowed me to determine what works, what doesn't and most importantly, what's most efficient when growing your blog into a profitable business. I'm a "been there, tried that, and succeeded here" blogger whose about to spill ALL her secrets & steps taken that ultimately allowed me to turn my online hobby into my full-time career by the age of 26! Passion and determination drives results; so if you got what it takes, I have no doubt you'll find success on the path to building your own brand as a business. Starting a blog had originally began as a 2-year 'research' project before I physically decided to do it. The delay of its creation stemmed from having 1) no idea how to apply my research into something digitally constructive, and 2) apprehension over how successful it would end up being. I had no idea what to do in order to get my blog discovered & struggled to find out what "secrets" those big name bloggers of the time were applying to get themselves noticed. Yet I found myself hungry for that knowledge and was determined to figure it out so I could apply it to my own content strategy and see how far it would take me. 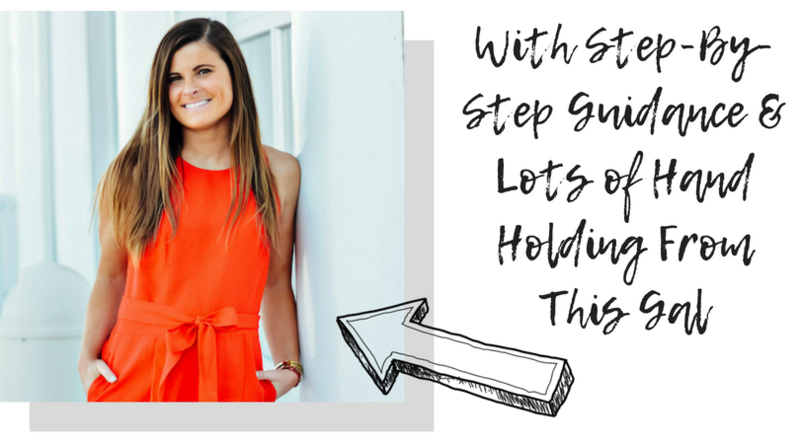 I finally figured out the perfect 'Recipe of Success' that has allowed me to run my blog as a full-time business, while living in New York City, and already at the age of 26-years-young! Celebrating the moment when you land your first or largest sponsored partnership. Over time, you begin to see an increase in revenue from your blog, which soon begins to exceed your 9-5 salary! All of a sudden you're in a place of financial stability where you can take your blog & run with it as a profitable, professional business! Next you're putting in your 2-weeks notice and embarking on a life-changing journey of entrepreneurship you will never look back from. You have developed & designed your blog to reflect your passion with a professional position. You feel confident because you've learned how to set up and market yourself & your brand right from the start, and understand how to navigate this creative space. Every time you sign a brand partnership contract for a sponsored opportunity, you run around the house (or apartment) cheering with delight, because you're doing it! You're blogging as a business and making it WORK! You're a self-employed master of your craft. So give the universe a fist pump, send a prayer of gratitude, and hug your pet or closest person to you.